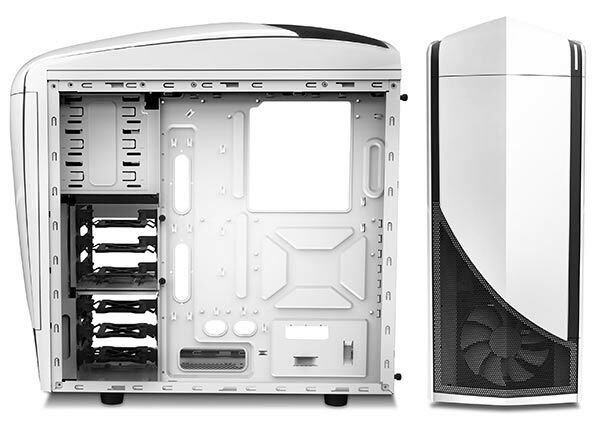 NZXT has introduced its newest case, the Phantom 240. 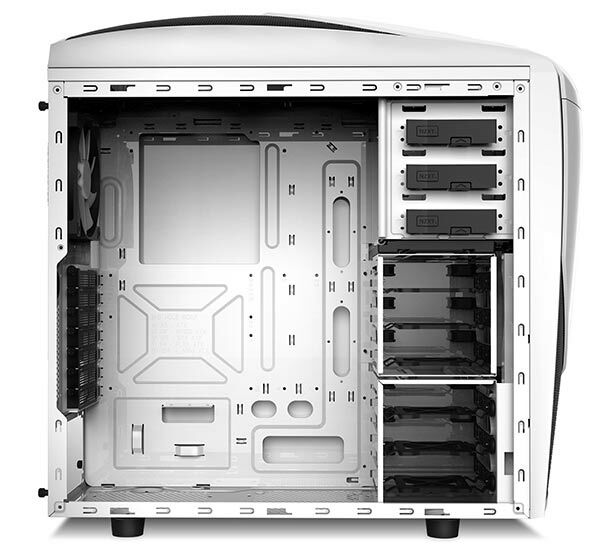 This chassis has a window and plenty of cooling options within a stylish looking mid-tower case at an attractive price. The first Phantom was originally launched back in 2010, and NZXT has continued to develop on this range of signature cases, bringing out the Phantom 240 today as the latest addition to the family. The Phantom 240 features a full-view window and an easily distinguished asymmetrical shape in white with black trim. For easy user access the chassis has two front mounted USB 3.0 and audio I/O ports. Inside it two of NZXT's latest redesigned standard case fans are included. These 120mm FN V2 models, one pre-installed in the front and one at the rear, boast good performance with low noise levels. The Phantom 240 features support for up to two 120mm fans in the front, one 120mm fan in the rear, one 120mm fan in the bottom and two 140mm or 120mm fans up top. For liquid cooling builds a 240mm radiator can also be installed in the top of the chassis. The case has 17mm of cable management space with seven routing holds and over 20 zip tie points built-in, making wire management easier for builders and users. 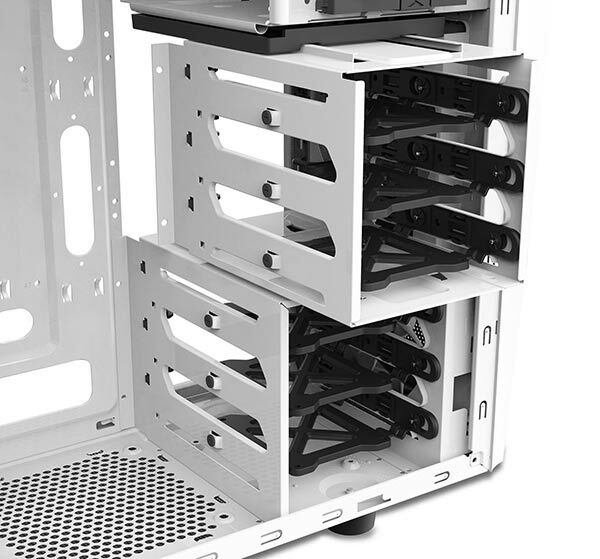 Three 5.25-inch internal bays, six 2.5-inch internal bays and six 3.5-inch internal bays are incorporated in the steel and plastic constructed case. The hard drive cages can be removed for easy installation of full-sized graphics cards. The Phantom 240 chassis will sell for $69.99, and it is said to be "coming soon," within the press release. We will update you with more information when it is made available. Got to be honest not liking this case. Maybe in the flesh it'll be better. It looks practically the same as the 430, something seems a bit off about it though. Hopefully it'll continue the tradition of quality NZXT are known for.